Founded in 2014, Surterra Wellness operates in Florida and Texas. Their proprietary lines focus on cannabinoid and terpene blends rather than strains. This allows them to focus on the condition and results rather than strains. Each of the Surterra branded products lists these profiles online and in the stores. They do carry a strain-specific line, Florida’s Finest. Coming later this month, a collaboration with Jimmy Buffett for the Coral Reefer line. The Surterra Therapeutics line has only one product currently available. The Serene Tincture Oil is a 5 CBD: 1THC with a graduated dropper that makes exact dosing easy. It contains cannabis oil, terpenes, coconut oil, and almond extract. The Surterra Wellness line consists of vape pens, soft gels, tincture oils, concentrates, lotions, and transdermal patches. The vape pen has 6 varieties: Relief, Zen, RelaxPM, ReviveAM, Soothe, and Serene. The soft gel concentrates come in 5 varieties: Relief, Zen, Calm, Soothe, and Serene. Tinctures include the Relief, Zen, Calm, and Soothe profiles. The topical line has two varieties, Soothe and Calm. For discrete, long lasting dosing, the line of transdermal patches comes in Relief, Calm, Zen, Soothe, and Serene varieties. A collection of variable airflow vaporizer products showcasing four different strains: Granddaddy Purple, Tillamook Strawberry, Art’s OG, Black Jack, and Myakka Native. The line advises that each oil cartridge average’s 210 three second draws, which is nice to know. The brand has its own website with full strain profiles including terpenes. Launching in Florida during April 2019 is the Jimmy Buffett line of products. The vape line consists of both pens and pods. The line has 4 varieties. The intensity levels are Seas the Day (Low Tide), Cabana Daydreamin’ (Mid Tide), Stories We Could Tell (High Tide), and Surfin’ in a Hurrican (Tsunami). The Coral Reefer line has its own website and will be available in other states soon. Are you a Surterra Wellness patient? Do you have a favorite location? What products do you love? Comment below so others can gain from your experience. 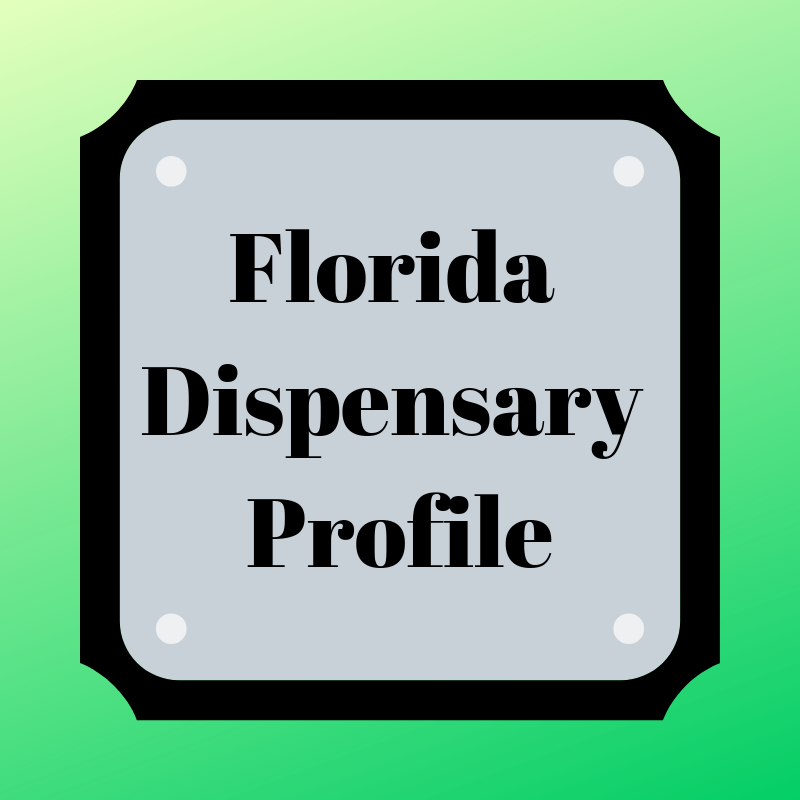 To view a one-page list of Florida Dispensaries and locations, see our Medical Marijuana Dispensaries in Florida page.